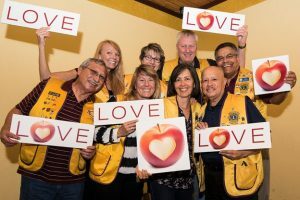 The South Tucson Lions Vision Screening Team completed the Lionistic Year by screening 22,500 children. We screened in public schools, charter schools, private schools, preschools and in homes. Our eight, State Certified volunteer screeners, which included our President, 1stVP and 2ndVP, completed this task with almost 2,000 hours of service. Our goal for next year is 30,000 children, of which we have already signed up 24,000.